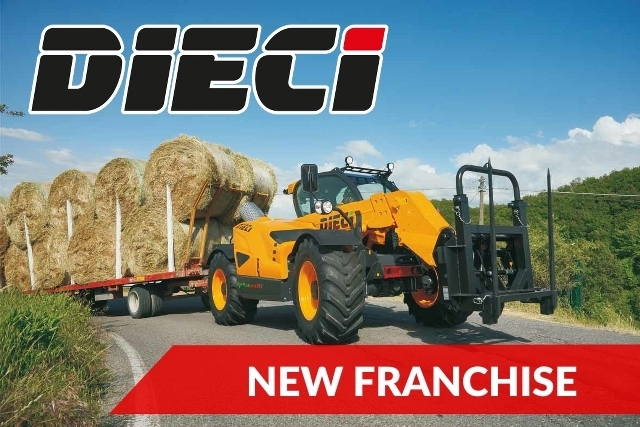 New Sales Franchise – Dieci Telehandlers. Agriplus Ltd are pleased to announce that we have a new sales franchise – Dieci Telehandlers. We recently let you know that we were able to service and repair the range of Dieci Telehandlers and obtain spare parts, but now we are also able to supply the complete range of Dieci Telehandlers as official main dealers for North Yorkshire. This exciting, powerful and quality built range of Telehandlers will further enhance our already impressive list of manufacturers and increase our range of product offerings to you. Formed in 1962, it wasn’t until 1998 that Dieci produced their first range of telehandlers. Since then Dieci have gone on to produce a range of telehandlers full of innovative features that are suitable for use in both the Agricultural and Construction sectors. With an impressive line-up of models to choose from to suit any application requiring this type of machine, there’s a Dieci Telehandler that’s perfect for the job in hand. 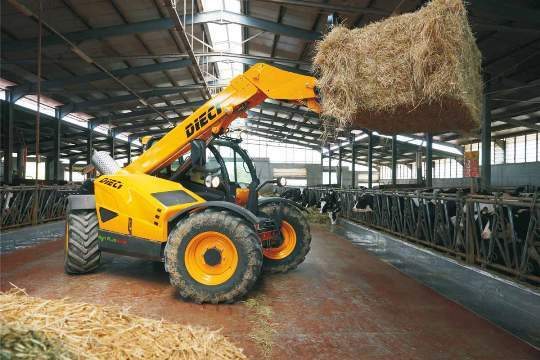 With an impressive line up of models to choose from, the Dieci Telehandler range will make light work of even the toughest jobs on and around the farm.